This 450-acre gated community in Chickamauga, Georgia, is nestled in a lush valley at the base of scenic Lookout Mountain, approximately 20 minutes from downtown Chattanooga and two hours from Atlanta. 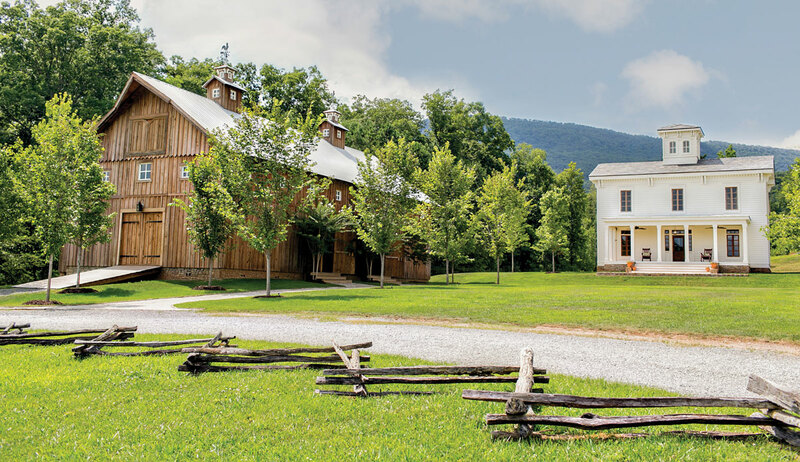 Part of what makes this family-friendly north Georgia community special is its commitment to conservation and history; its theme is a celebration of “the simple things” (think potbellied stoves and a general store). There’s a circa 1799 Cherokee chief’s cabin on the premises, as well as the remains of several old homesteads, whiskey stills, and orchard farms. Approximately 200 acres are in a conservation easement. Home sites start at $90,000, with cottages and homes ranging from $150 to $200 per square foot. The community will soon break ground on a collection of “not-so-tiny homes”—small houses ranging from 1,000 to 1,600 square feet with cozy bedrooms and a hearth room—that will range from $215,000 to $260,000, including the lot and home. They’re intended to be economical and low-maintenance. Residents can start the day with a cup of coffee at the former one-room schoolhouse, which has been converted into a coffeehouse and lending library, and later enjoy an afternoon treat at the Sweet Shoppe. Outdoor enthusiasts can fish and canoe on Lake Angela, take a swim in the infinity-edge saline pool, or hike a trail system that includes leisurely strolls along the creek and heart-pumping treks up Lookout Mountain. There’s also bocce ball and croquet. The community sponsors regular social events, many of which are held in its 165-year-old renovated recreation barn or on the village green. Cloudland Station is committed to traditional architecture. Within its four distinct home themes—Cottage Charm, Homestead Nostalgic, Cabin Rustique, and Mountain Traditional—are a variety of approved styles that reflect the evolving architecture of the region from the late colonial period through the mid-20th century.